Apple credits Pangu jailbreakers for helping make iOS 8.1.1 even more secure. The only time Apple publicly acknowledges the jailbreak community is when, semi-tauntingly, it lists the people responsible for finding and exploiting vulnerabilities in iOS that have now been patched. In the aftermath of its just-released iOS 8.1.1 update, Apple adds a mention to its security logs of the China-based PanguTeam, who discovered three vulnerabilities fixed in the latest update of Apple’s mobile OS. One vulnerability relates to a state management issue in the handling of Mach-O executable files with overlapping segments. Another concerns a validation issue in the handling of certain metadata fields, and a third concerns a permissions issue with the iOS debugging functionality, which allowed the spawning of applications. All three vulnerabilities have now been patched. 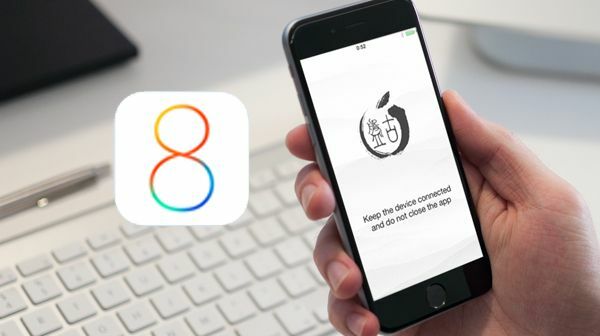 Pangu’s iOS 8 jailbreak arrived shortly following the debut of iOS 8.1. Not long after, the jailbreak was given the stamp of approval from Cydia, the jailbreak version of the App Store. It has also been made available on Mac, having been Windows-only before then. The whole process takes around five minutes to complete, although it is no longer available to anyone who has upgraded to iOS 8.1.1. Apple has previously credited the evad3rs jailbreak team with helping it to discover weaknesses in iOS that have been fixed in updates. This entry was posted in Apple news and tagged iOS 8.1.1, jailbreak, PanguTeam. Bookmark the permalink. OWCs upcoming Thunderbolt 2 Dock puts all other docks to shame. Apple will soon let third-party products use its Lightning port, opening up new possibilities for accessories.